Our team was presented with the opportunity to attend the North American International Auto Show by General Motors. We supported Chevrolet’s booth featuring self-driving robots. This booth was directed towards children and encouraged them to interact with STEM. 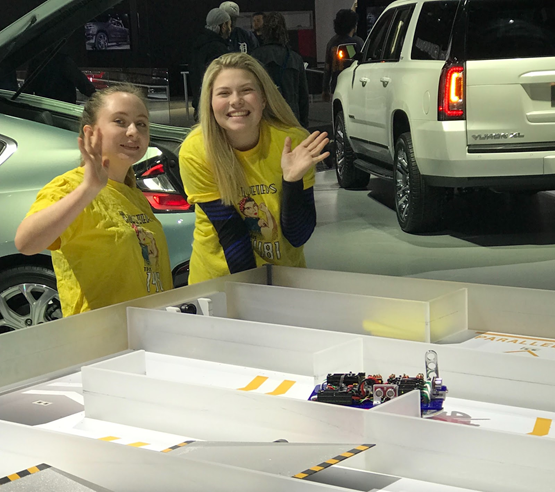 Through this event, the Riveters and other FRC teams were able to inspire hundreds of thousands of attendees at auto show. We talked to potential mentors and members about the Riveters and FIRST robotics. Our team encouraged young girls and boys to join a team when they are older and informed parents about FIRST’s opportunities. 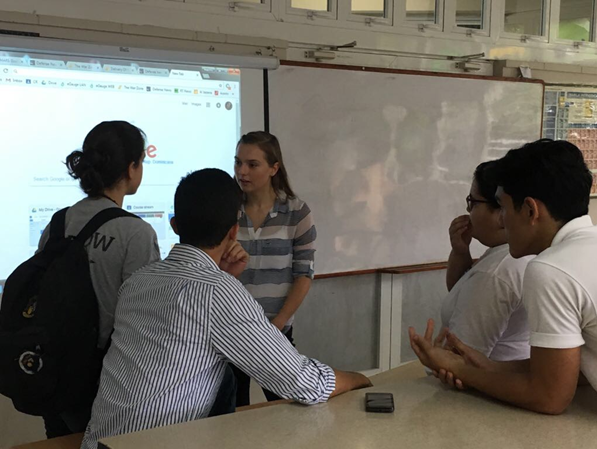 Over the summer, the PM lead, Anika Jane Beamer, left for the Dominican Republic to educate high school students about FRC. She also talked about our team’s mission to inspire women in STEM. She encouraged the Community for Learning in Santo Domingo, Dominican Republic to start a team of their own. She spent an afternoon at their school for several hours talking to them about FRC and STEM. She said the students were very engaged. Also, she was encouraged to hear the boys stand up for women in STEM when their teacher questioned women’s capabilities in that field. Anika Jane went to the Dominican Republic with the intention of spreading our team’s mission to inspire women in STEM. We all know the benefits of a STEM education. 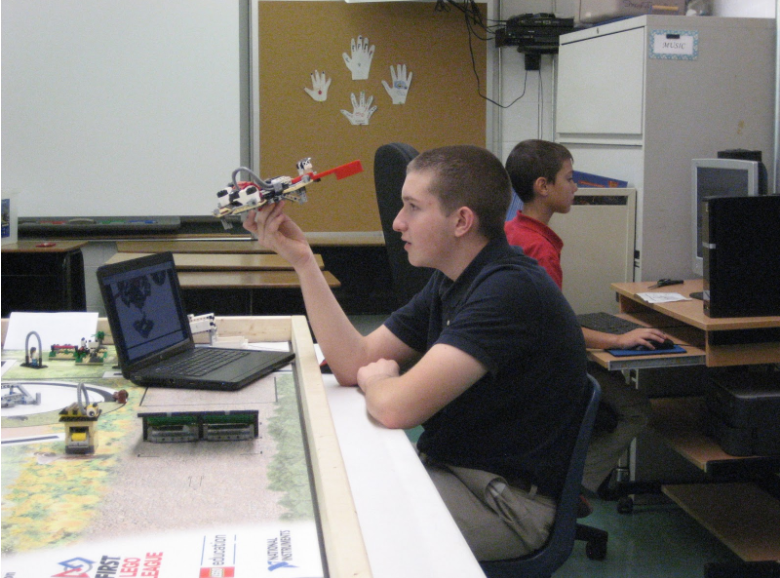 We wanted to share those benefits by helping start an FLL team for a local elementary school. Getting starting is tough, supplies used can be expensive and there is often not enough time or expertise available. Our team addressed both of these issues by having an open line of communication with the principal of St. Paul’s and the parents of the club members. For funds, the Robo-Panzers hosted a can drive within their community.We also contributed by donating our used cans to the Robo-Panzer. It was reaffirming to see same sparks of leadership emerge from both the girls and the boys. The students not only learned mechanical and programming skills, they also learned communication, teamwork and presentation skills. Proudly the students presented their robot to parents, staff and cohorts at the St. Paul’s Science fair. We are proud to share that as a result of this experience some of the eighth graders decided to pursue robotics in high school.